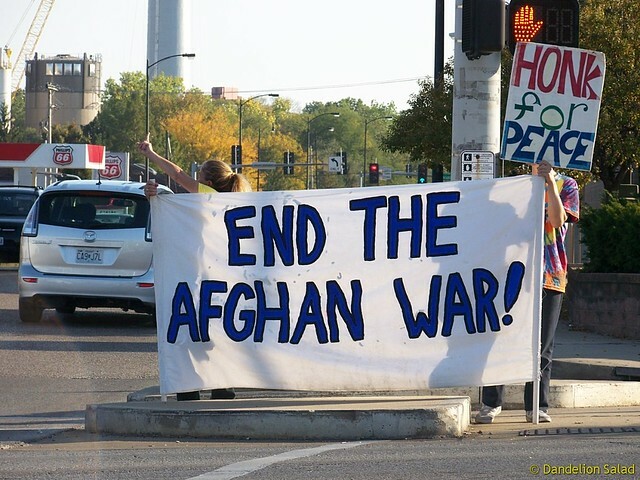 This entry was posted in Afghanistan, Anti-war, Congress, Democrats, Imperialism, Politics, War Crimes and tagged Barack Obama, David Swanson, Meet the new boss the same as the old boss, Permanent War. Bookmark the permalink. In the days of the Vietnam war, Vietnam was #1 producer of opium, and back then we’ve all witnessed the widespread of heroin in the US. Today, Afghanistan is #1 producer of opium, and we are witnessing the widespread of opioid addiction in the US. Why is the subject NEVER touched by any alternative media? Dandelion Salad has posted many articles and videos on that issue over the years. There are other reasons for the opioid crisis, too. Quote: “17 Years of Getting Afghanistan Completely Wrong” should read, 17 years of gutting Afghanistan completely wrong. Play on words: getting versus gutting. If you are an ESL’er, that may not compute. War is gutting. Gutting means taking the innards our of a living creature and essentially killing it if it isn’t already dead. I understood the word “gutting,” just didn’t understand it with the rest of the title/sentence. It didn’t make sense to me. Maybe just “17 years of gutting Afghanistan” would be better.